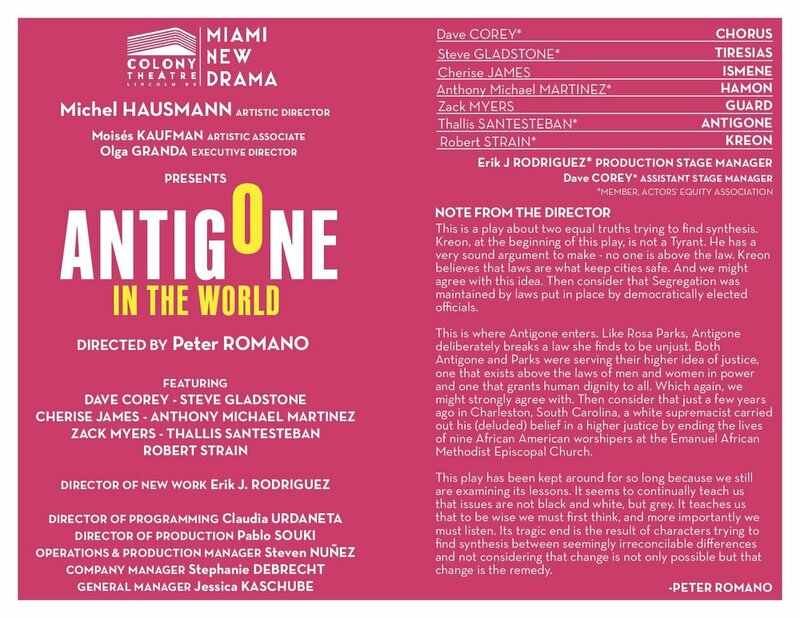 Miami New Drama presents Antigone in the World, a production of Sophocles’ tragedy performed by a young, international, and ethnically diverse company of actors in unconventional theater spaces. The play will be performed in over a dozen Miami-Dade County public high schools this February. Help hundreds of students access extraordinary theater by booking a performance of one of the most powerful theater pieces ever written. Every private paid performance of Antigone provides the opportunity for two school performances. The flexible production can take place in the intimacy of your home, work, or outdoor venue. Duration: 50 minutes with an optional 15-minute Q&A session.